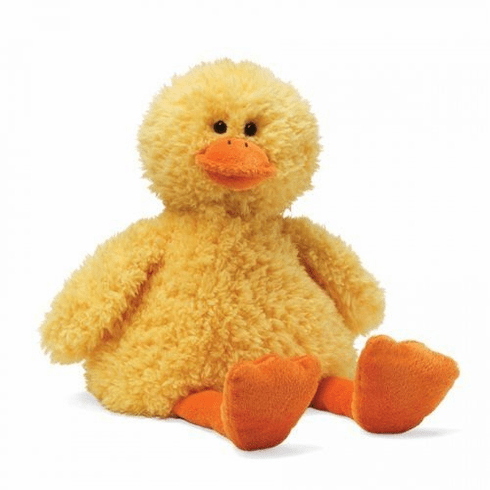 Your child will go quackers when they first meet Birdie from Gund. This super soft bright yellow duck is stuffed to a floppy 15". Birdie has a comical, friendly face with close set plastic eyes & soft orange beak. This plush toy has long orange dangling legs, floppy unstuffed wings & a plastic beans stuffed bottom for extra weight. His wide waist line makes this comical little guy seem as though he's had a few too many treats. Birdie makes a perfect addition to any Easter basket!